Needle Painted Roses in progress. 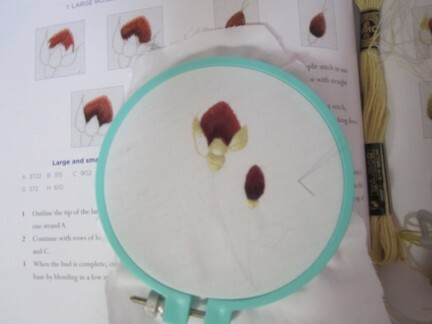 When I woke up this morning I really wanted to do many things but decided to try needle painting using the book "Needle Painting Embroidery, fresh ideas for beginners" by Trish burr. 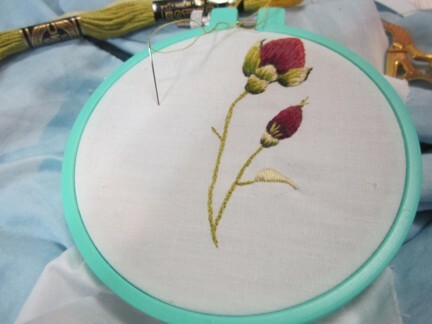 I decided to try the 6th lesson because I had most of the needed colors and because the author explained that she had used this lesson to teach needle painting with. 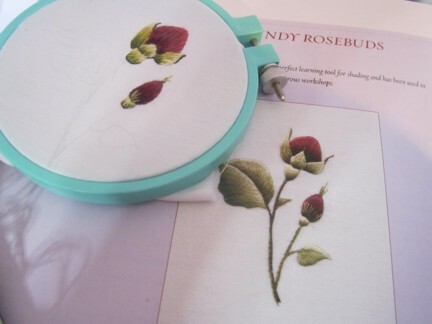 So with some closely woven white cotton fabric I traced the burgundy rosebuds design using pencil. 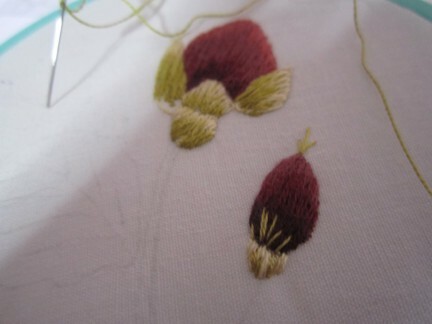 Then I reread the basic instructions through again before starting to embroider. The instructions were very easy to understand and it reminded me of art classes that I took years ago. 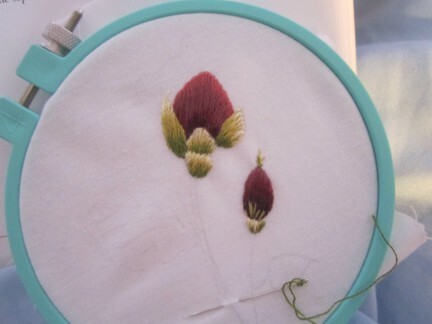 Then with my needle waiting to start painting I went to lesson 6. 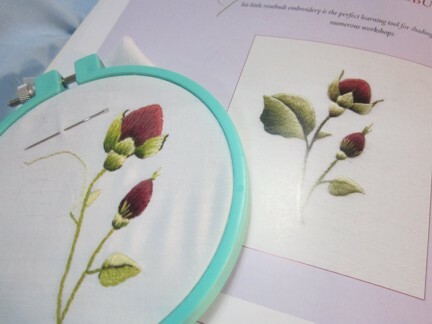 The author broke the project into sections and gave very clear instructions on how to embroider and what colors to use and the order to work. The book really is well written and the author is a skilled teacher. So many hours later I have finally stopped because my hands are so tired. This technique is as easy as it is lovely. I recommend both the book and this style of embroidery. Very different from what I usually do but I can see this technique improving my stump work bugs. Here are some pictures of the roses in progress.